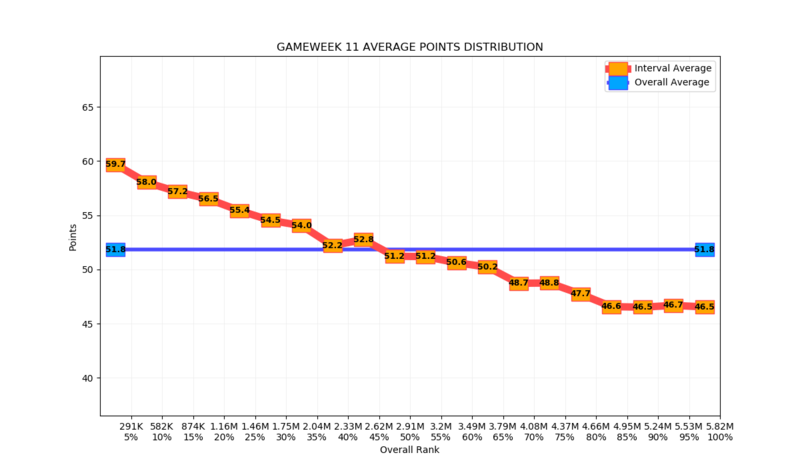 Welcome to final results for GW 11. The stats include actual bonus points (see the FPL website) and automatic substitutions. What happened to most bonus and card magnet? Most bonus was dropped for being boring. Could bring it back if people find it interesting. Card magnet still here in the hall of shame, seems fine.